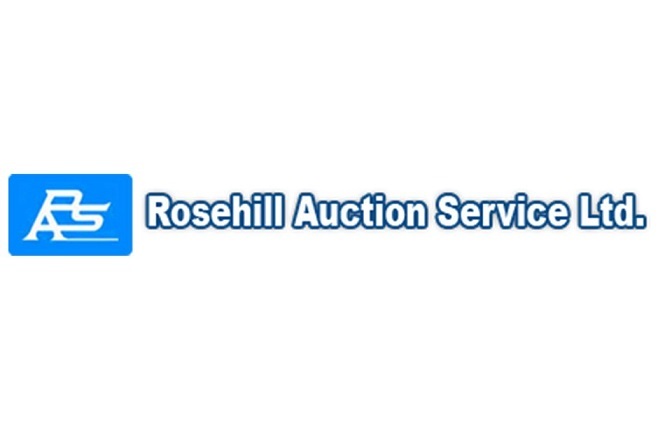 Marvin & Joanne Fowler Auction in Airdrie, Alberta by Rosehill Auction Service Ltd.
-1982 GMC General tandem Grain Truck, 400hp CAT 3406, Road Ranger 13spd trans, Midland 20’ Steel Box, Hoist, remote endgate, ROT, 3676hrs, 104,427kms, sn: 1GDT9F4R0CV557895. -Ford L9000 tandem Truck w/25’ Sliding tilt recovery deck w/winch, Road Ranger Trans, 385/65R22.5 f.r., sn:??????? Advanta is one of just 30 made by the company. Originally shown as a concept model a few years eariler, it was available as a special order. It's based off the company's 4700 LPX Chassis, it's powered by the T444E diesel V8, it makes 210 horsepower (@ 3,000/user/3000) rpm) and 425 lb-ft of torque ( @ 1,600/user/1600) rpm), it has an automatic transmission. -1997 Agco Gleaner R62 Combine, Ag Leader Yield monitor, chaff spreader, Super 8 pick up, 1903engine hrs, 1702 separator hrs, sn: R6267103. -Agco 25’ Straight cut header w/shop built mover, sn: 2433148G. -1996 Prairie Star 4930 SP Swather w/MacDon 960 25’ Draper header, pick up reel, double swath, 1670hrs, sn: 107340. -Maverick 24’ G.N. Tilt Deck Trailer w/winch, sn:??????? DIRECTIONS: FROM AIRDRIE AT HWY 2 & YANKEE VALLEY BLVD, EXIT 282 (BIG HILL SPRINGS ROAD) GO 6.4KMS (4MILES) WEST TO RGE ROAD 14 THEN NORTH 1/4MILE ON WEST SIDE OF ROAD.